As Portal Administrators you are responsible of the default settings you choose to set for your organisation to use the Wisenet Portal and Applications. This is to guide you on how to view and edit settings in the Portal. These settings allow you to control the information that is able to be accessed; how and by who. You do not need to update all of the fields but only those that are relevant to your delivery and organisation. Where you are required to use HTML to enter details in the Edit Box, i.e. the Learner App Home Page Text Box, and if you are not familiar with HTML, you can use an HTML Editor Tool. Once you have converted your formatted text to HTML simply copy and paste it into the relevant Edit box in your Wisenet Portal Settings. For more examples please see the table below. Please note that this table does not include all of the settings available. The Learner App is an additional avenue for communicting with Learners. Through the Portal you are able to select and edit various features to control settings. 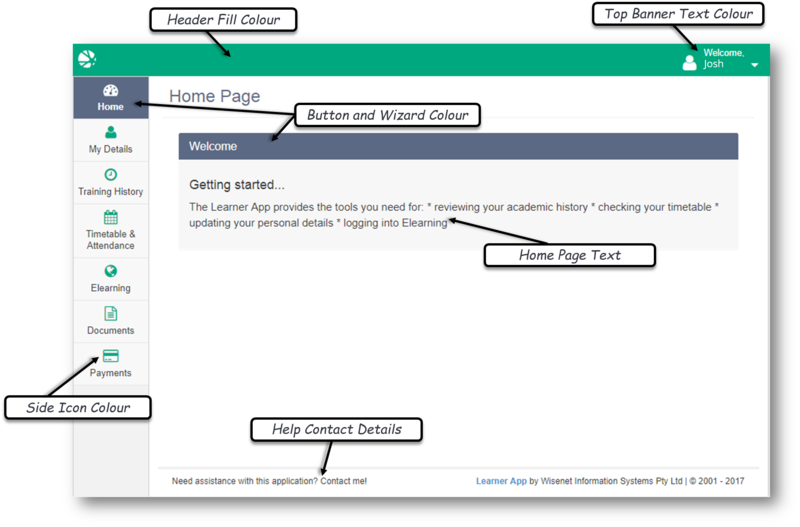 Wisenet has recently updated the layout and Look & Feel of the Learner App, see image for what has changed. See the table for a list of settings to manipulate. Determine what Trainers can and can’t do in Wisenet. When a document is attached to the Terms and Conditions and you need to update/replace that attached document, you can do so in the Settings Logbook > Student Handbook file note section of the LRM. 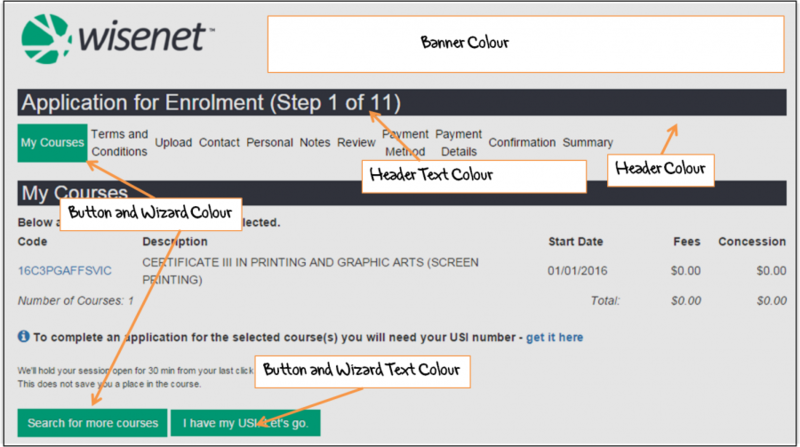 The “Visible in Online Enrolment” determines if the document will be displayed under the terms and conditions or not. For more detailed information on the settings see the below table.